We call batch cooking side dishes ‘jobisai’ in Japanese. Preparing several kinds of ‘jobisai’ helps save cooking time as well as achieving a well-balanced diet. 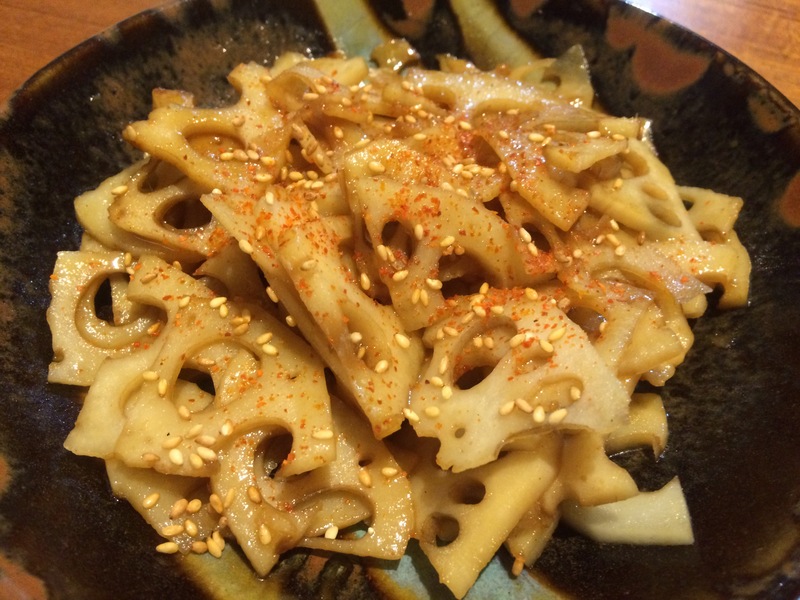 ‘Kinpira’ is one of the basic jobisai recipes using root vegetables and ‘renkon’ means lotus root. It’s a simple, quick way to enjoy lotus roots in season. 1. 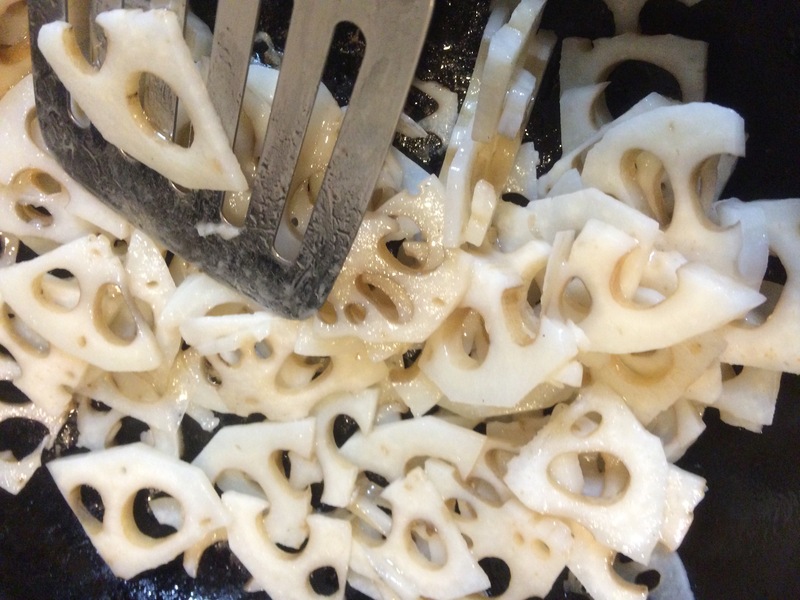 Heat sesame oil in a pan and stir-fry thinly sliced lotus root. 2. Add sake, soy sauce and mirin in the pan and cook until it smells nice… I added two tablespoons of each ingredient but adjust the amount as you like – please enjoy finding the best balance of salty and sweet. If you don’t have mirin, substitute sugar or maple syrup. 3. Sprinkle sesame seeds and red pepper powder. It can be stored for 2-3 days in the fridge and around 2 weeks in the freezer.